As part of its Life Cycle Services offering for the aggregates industry, Metso is now introducing a new digital solution to help further optimize mobile crushing and screening equipment operations and maintenance. Metso Metrics Services is another step in Metso's digital development, leveraging the possibilities offered by advanced analytics and cloud-based technologies. The new service will be launched at CONEXPO-CON/AGG in Las Vegas, March 7-11, 2017. Mobile crushers frequently move between sites, making it challenging to track, monitor and maintain a fleet of equipment for maximum performance. 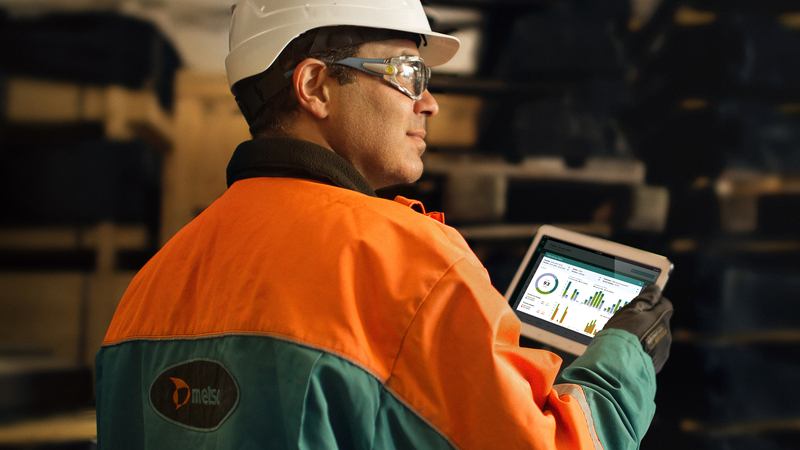 Through a remote communication device mounted on a mobile equipment, Metso Metrics Services provides a dashboard view of critical operational and maintenance data - from utilization rates to production levels and fuel consumption. With secured access, the solution allows for data-driven decisions that impact crushing operations. "Making the most out of the assets depends on data you can trust: Having the right information at the right time helps customers make important operational or maintenance decisions to improve uptime as well as utilization and production rates. Metso Metrics Services is designed to collect and provide this crucial data in one easy-to-use interface. 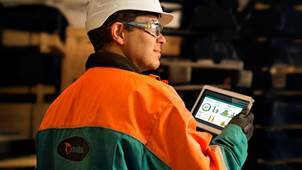 Combined with the expertise of Metso's network for troubleshooting or optional assistance with analysis, the solution provides tools for continuous improvement, both in performance as well as safety and sustainability," says Giuseppe Campanelli, Vice President, Service Solutions at Metso. Metso Metrics Services helps to identify underperforming assets and training opportunities, as well as to control maintenance and inventory costs. With the equipment maintenance plan integrated into the solution, plant operators can stay on top of their equipment's needs - making it easier to anticipate change-outs of spares and wears. "Metso Metrics is an excellent example of how we can help our customers take their operations to the next level with digitalization," Campanelli concludes.